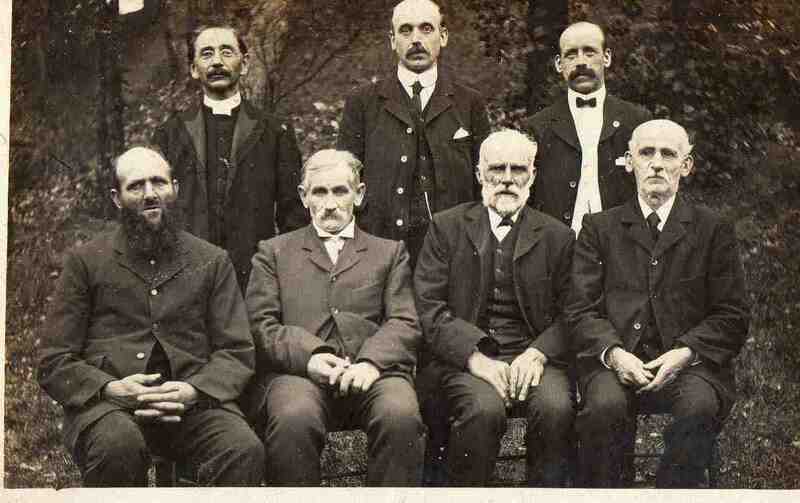 Minster and Deacons of Congregational Church (1910-1917). See note below. Photo courtesy of V. Hopkinson. Taken between the Church and the Manse. Standing: Rev G.L. Jenkins, George Ward, Herbert Bailey. Seated: George Hall, Enoch Hall, Septimus Taylor, William Marshall.